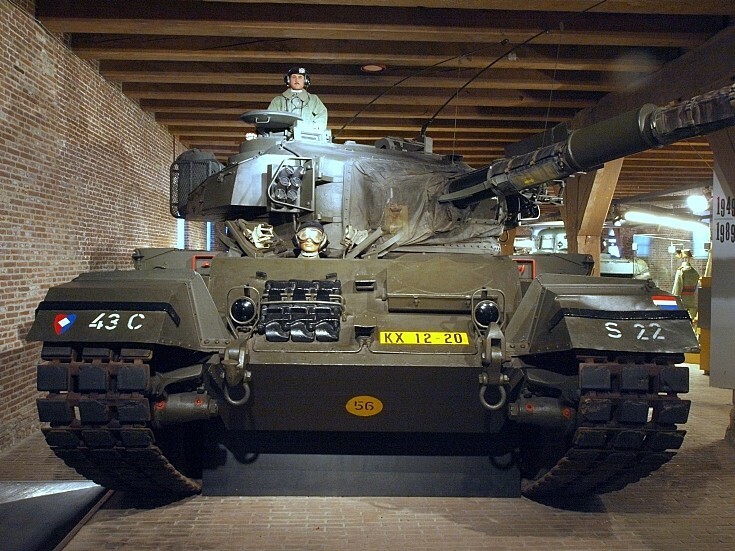 Dutch Centurion Mk5/2 battle tank in Army Museum, Delft, The Netherlands. Build in Great Britain the first Centurion was manufactured in 1948. This is one of 658 Centurion tanks that the Dutch Army had acquired between 1953 and 1985. All operational tanks were upgraded to Mk5/2. According to the Museum's information Centurion tanks had one important drawback, their operational range was 100 km (at most).